It’s 1985, and I tell you I’m a genius. You can ask me anything. But here in 2011, I’m just a dude with access to the Internet. One thing you can’t find on Yahoo! or Google is the meaning of life. Oh, there are a number of opinions on the subject (47,000,000 to be exact) but when knowledge moves from the realm of facts to the realm of faith, the answers become more elusive. If you want to know God, or your place in the world, or how humans should treat each other, there are plenty of articles you can read. But truly finding that kind of Truth comes from searching your heart (not to mention the Good Book) and growing your faith. There’s more to it than typing in keywords. How many times did you have to adjust today? Adjust your schedule. Adjust your expectations. Adjust the seat in your car. It seems like the world demands my constant adjusting. Some days I get sick of it. I get a kick out of stuff like that, but today I’m especially intrigued by that second sentence. “Do not attempt to adjust…”. Ok, I won’t! I won’t adjust my schedule anymore. If someone’s running late, that’s their fault. I won’t adjust my expectations. If the movie I wanted to see got lousy reviews, I’m not going to let that dampen my excitement. And the seat in my car? Maybe I won’t let anybody else drive it so I won’t HAVE to adjust it. Ahhh. Feels good, not adjusting. Letting the world conform to me for a while. I am a rock! I shall not be moved! But then, there’s my TV. I mean, I enjoyed the hour of the Outer Limits, but I don’t want to watch this infomercial that’s on afterwards. Maybe I can just use my remote? Just a little adjustment? In the book of Numbers, God tells Moses all the dimensions of this Promised Land they’re headed to. 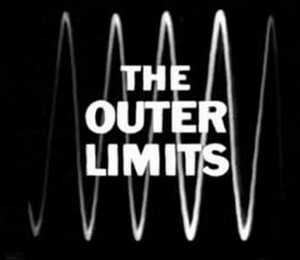 God even uses the phrase “outer limits” a couple times. I think the idea was that this would be the land they’d been journeying toward, and no need to make further adjustments. And that worked well, for a while. But think about this—if the Israelites hadn’t adjusted to political events, and eventually, to Christ’s call to “Make Disciples Of All Nations”, God’s people would all be living in a relatively small patch of desert there in the middle east. Sometimes I get sick of constantly making adjustments. The idea of God (or some ominous voice from the TV) telling me to NOT adjust the boundaries of my life sounds comforting. But life on this planet is ever-changing. You and I are ever-changing. We’re destined to seek out and explore the Outer Limits, to push the boundaries, to grow. If you’ve been feeling a little too flexible lately, perhaps it’s alright to take an hour or so where you choose to not adjust, but after that? It’s time to change. Hopefully more than the channel. Almost immediately, she turned and glared at me. She took off one of her latex gloves, and slapped me across the face with it. “Choose your weapon,” she growled at me. I sized her up briefly, looked at the pricing gun in her hand, and then bolted for the exit. Two days later I was talking with somebody at the ballgame. He said he hated the designated hitter rule. I told him I thought it made the game more exciting. Wham! He slapped me across the face, whispered “Pistols at dawn”, and turned and left. I’ve decided to start rooting for a different team. Just to be safe. What is going on? I’ve been invited to four duels in the past three days! I told someone I voted for Obama, and she pulled a sword! I mentioned to someone else that I was against Capital Punishment and before I knew it we were arm wrestling. Has the world gone mad? It’s as if anyone who has an opinion contrary to yours is suddenly an enemy! This sort of all or nothing thinking is dangerous…and contagious. I’m worried. This morning a parishioner told me they hated the Harry Potter books. It took three people to hold me down! 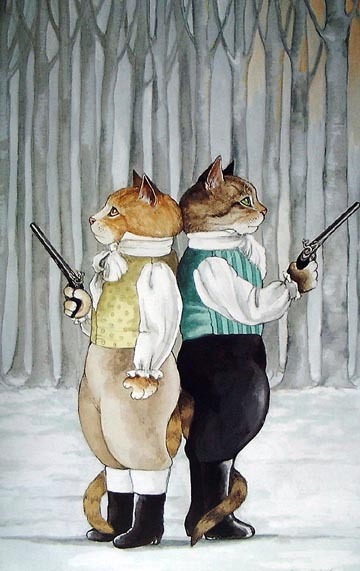 It’s been shown time and again that dualism can lead to duel-ism. Remember Aaron Burr and Alexander Hamilton? They took their political frustrations out with firearms! While I don’t see that kind of violence on C-SPAN, who could deny the divisive, violent undertones in modern political rhetoric and legislative debate? Come to think of it, Draco Malfoy and Harry Potter came to “magical” blows during a dueling lesson at Hogwarts. It’s true, the Slytherins and the Griffindors seem to be at odds much of the time. What about you? How do you respond if someone picks the other side of an issue you’re passionate about? Do you rush in to argue? Do you challenge your “opponent” to a battle of who is superior? Do you feel compelled to fight for what you think is right? Hmm. But what if the fighting part is what’s wrong? This doesn’t mean you’re can’t choose to like (or not like ) Kenny G. It doesn’t mean you can’t choose to approve (or disapprove) of some elected official. It doesn’t even mean you can’t state your opinion, make your case, and try to share some of your accumulated wisdom in conversation with somebody who disagrees. 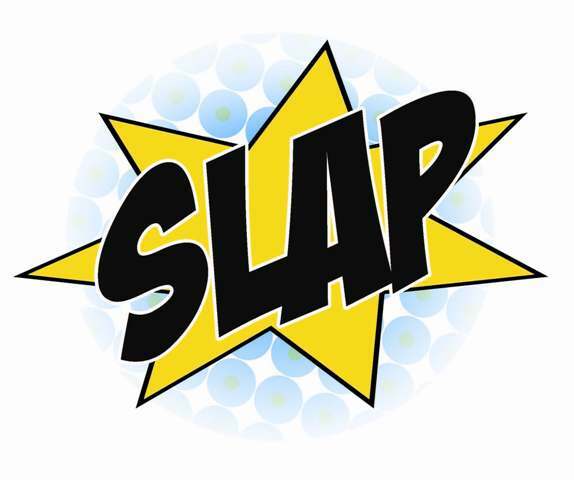 Think twice before getting Slap Happy. I’ve been through easy break-ups, and I’ve been through difficult break-ups. This one’s nearly driven me to tears. I just unsubscribed from an e-newsletter. And it simply wouldn’t let me go. I’ve been seeing this e-newsletter in my email every few days for about a year. I’m not even sure when we first got connected. Truth be told, I’m amazed it’s gone on this long. I was never really that interested. So today, I decided it was time to make a change. I took a deep breath and clicked the “unsubscribe” button at the bottom of the page. And…it redirected me to a login page. I needed to login with my user name and password in order to access my subscription options. User name? Password? No clue. So I clicked on the “reset my password” button and it e-mailed me a link. I clicked that link and entered a new password. That brought me to a “Why are you leaving me?” page, where I was supposed to click buttons corresponding to my reasons for unsubscribing. I clicked “Other” and added my own reason at the bottom: YOU’RE TOO CLINGY! Okay, truth be told, that story never happened. It never happened because every time I get to that Login page, and I think about the work involved in actually unsubscribing, I heave a deep sigh and decide to just put up with the stupid clingy email. Have you had your own experience with clingy e-newsletters? I bet you have! Can you say annoying? But that’s nothing compared to clingy people. Some people attach themselves to you and refuse to let go. Like some added responsibility you never asked for and don’t know how to get away from. These are the people that always seem to be in your way, blocking your view, taking up your time. 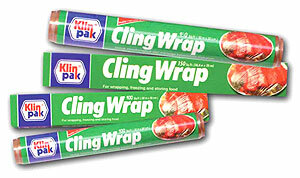 Do you have clingy people in your life? Taking up space and time, crowding your inbox. I have some Good News for you: They’re not your responsibility. They’re God’s. God loves clingy people–just like that psalmist, above. But now here’s the challenging news. The reason they may be clinging to you is because they may see a glimmer of God shining through you. They may be looking for a way to get closer to God–and that is your job. The clingy people in your life may need you to show them the way, to lead them closer to God. That may require some of your time and energy and patience. And now here’s the double challenging news. You’re supposed to be clingy, too. Vulnerable, searching, reaching out to make the connection. Sometimes that’s directly with God, but often it’s through the love and support and direction of people in your life. God created us to be clingy. To hold tightly to God and each other. Not to look past each other, but to hold each other in great esteem. Maybe that’s why it’s so hard to “break up” with a clingy person. Before we end that relationship, we’d better make sure we’ve taken a good look in that person’s eyes, and valued them for the children of God that they are.